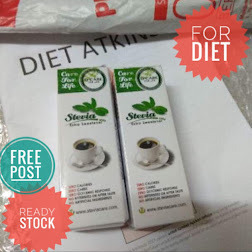 Mudahnya Kurus by Bicikut: What is afterburn? In essence, Afterburn is the product of doing short bursts of high-intensity exercise to stimulate the metabolism into burning consistently more calories (up to three times more calories than any other exercise) evenafter you are done working out (up to 48 hours!). This means that your body will burn more calories even when the workout is over. 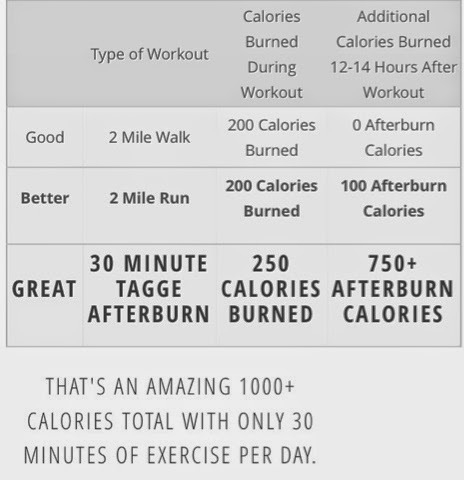 Imagine burning over one thousandmore calories per day from just doing only twenty minutes of Afterburn! The key to this program is that it is high-intensity – meaning that the goal is to elevate your heart rate to about the 80thpercentile (which is your personalized target heart rate measured in beats per minute, or BPM) by doing short, intense bursts of exercise with periods of “recovery”. As the heart rate increases, there is an increase in the demand for nutrients and oxygen, and therefore an increase in metabolism. 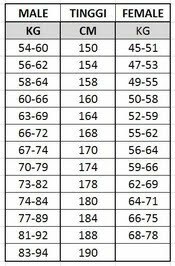 In order to ensure the most effective and efficient workout, a heart rate monitor is used to gage at what intensity the heart is working – whether you are reaching your “target zone” or not – so that you know exactly how hard you are working in order to achieve the “afterburn effect”. Afterburn is technically known as EPOC (Excess Post Oxygen Consumption), which is the measurably increased rate of oxygen intake following strenuous activity intended to erase the body's "oxygen deficit", or, in other words, it is the body’s method of “recovery”. It is during this recovery stage that the body requires more oxygen in order to get the body back to its “resting” state, which requires more energy (increased ATP production, the key molecule in energy metabolism) and therefore maintains a stimulated metabolism hours after the exercise is done. That is the miracle of Tagge Afterburn.